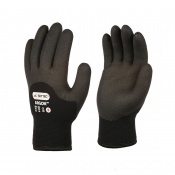 Providing plenty of warmth and grip in cold, wet and oily conditions, the UCi NitraTherm Fully Coated Thermal Waterproof Grip Gloves are an excellent option for those looking to stay confident in their grip in a range of applications. Exceptionally comfortable and flexible, even at low temperatures, these thermal grips don't compromise on dexterity while providing heavy protection from the elements. 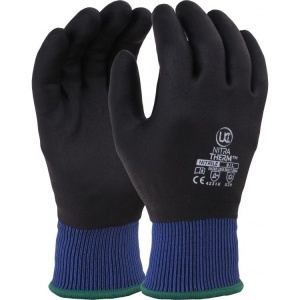 Cold weather is tough on working hands, especially when you need the dexterity to grip objects in wet and oily conditions. 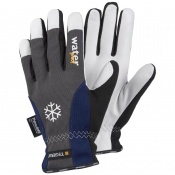 These gloves are designed to provide grip in the face of slippery oil, grease and water, and will stay flexible at cold temperatures to provide you with the dexterity you need. 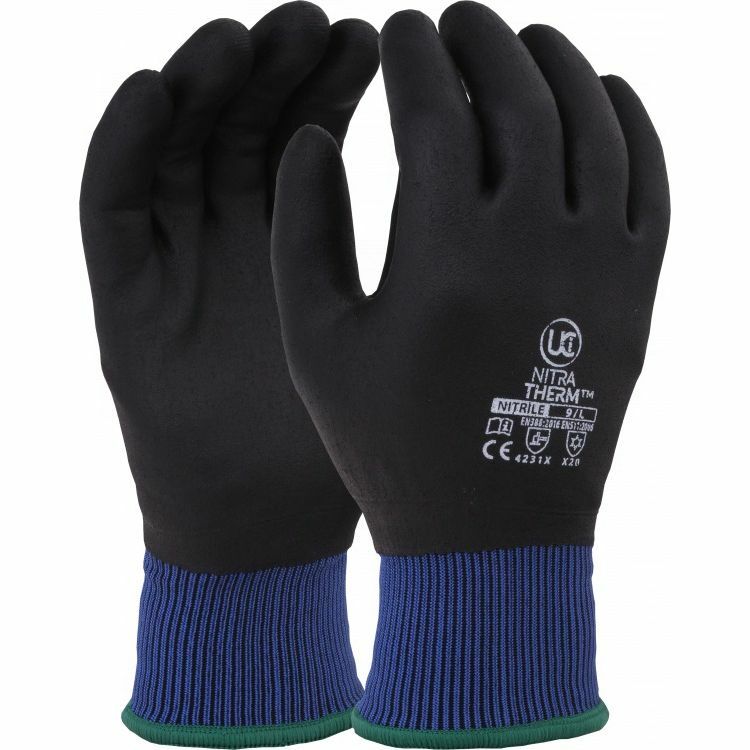 Fully coated with nitrile foam, these thermal insulated gloves are an ideal choice for keeping your hands useful despite your environment. 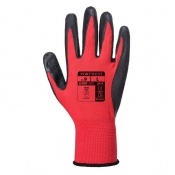 The Kutlass Ultra Nitrile-Coated Gloves are available in three sizes that should be suitable for most users. To find your perfect pair, please measure the circumference and length of your palm and match the results to the table below.